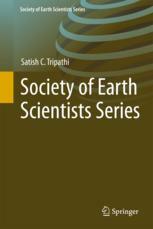 e-Journal Earth Science India- www.earthscienceindia.info is a Peer-reviewed journal. All our technical papers are reviewed by at least two referees before publication. To make review process more effective and smooth we are preparing panel of scientists across the Globe volunteering their time for technical review of the manuscripts submitted to us with quality and in definite time frame. Earth scientists with more than ten years of research and/or professional experience in any domain- geophysics, geology, atmospheric science, meteorology, oceanography, environment and soil sciences and willing to support us by technical review are invited to join the panel. Pl fill in the Reviewers form(download Reviewers Form) and return as Email attachment at earthscienceindia@gmail.com .. This Site is Developed By : APV India Pvt. Ltd.